The Rome Wedding Photographer studio for Wedding photography in Rome or destination weddings throughout Italy such as in the Amalfi coast, the area of Tuscany and Venice Italy. 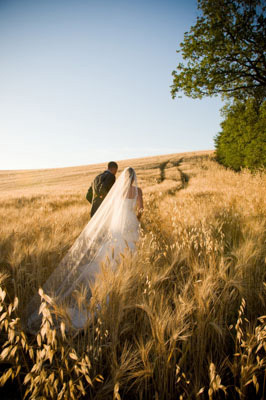 Blending photojournalism and fine art together to cover symbolic, church, civil, post or pre wedding photo sessions. Or if you just want to bring your gown and attire along for bride and groom pictures. 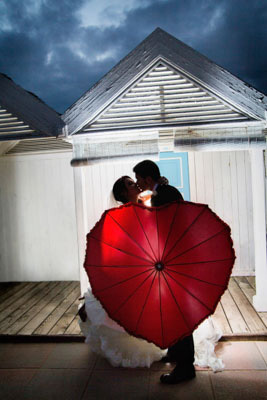 We are professional Italian wedding photographers that will follow you throughout the process. Easy to related to. Friendly and creative. Custom made service to provide the type of portrait photography that best fits your needs. 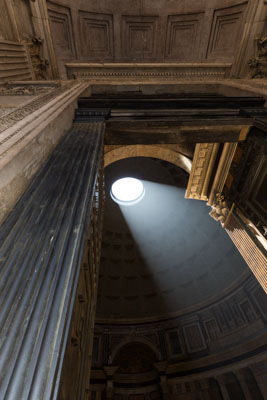 If you are looking for unsurpassed pictures in Rome or in Italy you are in the right place! Rome photoshoots: engagement, anniversary, honeymoon. We can capture the best engagement images in Rome. The shoot can be styled to your preference choosing any specific theme to your liking. Renaissance, Baroque, ancient and modern Rome. Amalfi photoshoot. Include couple pictures from the most beautiful Italian riviera making stunning memories of your stay in Italy. Schedule a Tuscany photographer sessions in the amazing tuscan countryside and people will not believe how nice the pictures will turn out! A Venice photoshoot will also complete your overview of the best locations in Italy for couple photography. 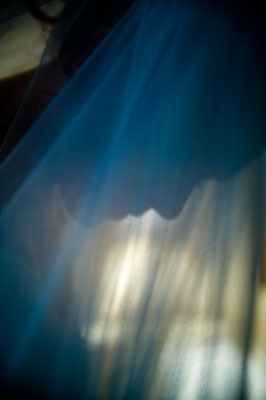 Dedicated to create lush and evocative engagement style imagery. In a fun and creative way. Passionate photographers to capture the pictures that illuminate the beauty of being romantically in love in the eternal city of Rome or throughout Italy. 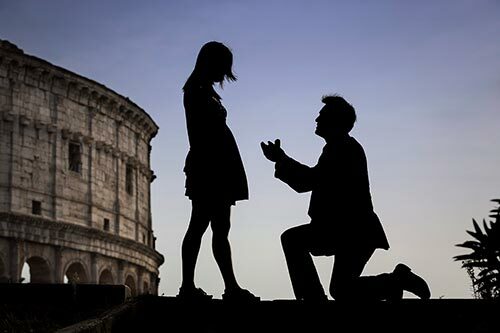 Want to surprise your fiance with a Rome wedding proposal in one of the most beautiful and romantic city in the world!? If you wish to capture this unique and special moment, you need a surprise wedding photographer Rome. Ready to capture that special Yes in candid and spontaneous imagery. With an easy to set up session we can make it happen. Getting all the details down online. And meeting on location to make it happen. Such as a park with a view or an evocative alleyway street or square. From sunrise to sunset. 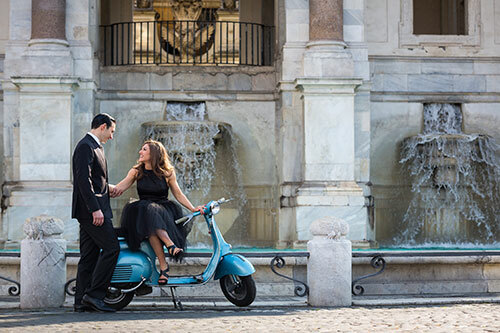 Have your surprise proposal professionally photographed in Rome. Amalfi proposal: or drop the big question in the beautiful Amalfi coast among stunning images of coastal seaside towns. Venice proposal: or have your proposal photographed in one of the most ancient and romantic city floating on the water! We have been blown away by how gorgeous the photos came out! They are everything we imagined and more! Andrea has a fantastic eye. He perfectly captured the magic of our stay in Rome in such an artistic way for us to look back on for years to come! Andrea took some post wedding photos during our visit to Rome. Even though we were coming from the USA, he was awesome to work with through emails. We are really pleased with the pictures and would definitely recommend him. Andrea is a truly excellent photographer! He photographed two events for our wedding and the pictures turned out great and better than expected. He is incredibly accommodating and responsive and made us feel very comfortable throughout. Thank you, Andrea! Using exclusive equipment to achieve great results. With a friendly and approachable service. Without feeling the stage effect. Natural posing. Accommodating and supportive. Helping you look at ease and at your best. Even if you’ve never taken professional pictures before. Image post processing is included. Digital darkroom editing. Your pictures will be optimized for exposure, white balance, sharpening, and overall enhancements in order to obtain a vivid and colorful effect. Without altering the natural look of the image. Available with your post production processing. Adding a refined and stylish look to your final image delivery. Personally hand calibrated to obtain the best result. Mixes wonderfully with your color pictures. Makes for great elegant prints in your wedding albums. Composed by a selected number of pictures chosen from your wedding or engagement photographer Rome session. Hosted on this website as part of the online blog gallery. Together with informative details about the locations included in the itinerary. Find the greatest views and the most scenic locations in Rome Italy. 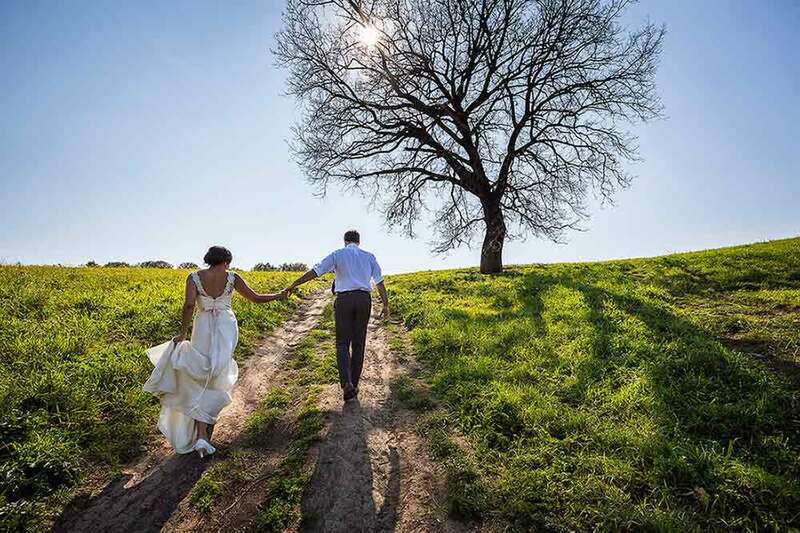 View them with the eyes of local professional wedding photographer Rome. Go there at the right times and achieve the best results. Sunset or sunrise. Make it a unique and memorable experience to remember in beautiful iconic pictures. One less thing to worry about. Speak freely ask you wish. We speak both English and Italian. And will be happy to facilitate the session. We know the city well under a photographic point of view and will lead the way. Helping out with any translation if needed. Choose from a variety of additional services in support of your destination wedding. Such as a car service with driver. A Rome Wedding Photographer. A make-up and/or hairstylist. Symbolic wedding celebrants. Unique florists with seasonal flowers and bouquets. A wide range of tested professionals available to contribute their great expertise to make your special day a once in a life experience in Italy. Answer all your questions with a simple and easy click of a mouse. When and where to meet. How to get from place to place. Which itinerary is best. What are the times for the best light. And any other local tip that may help you achieve stunning images with your wedding photographer Rome. Full online support. With an average 24 hr response time. If you are looking for a Family Photographer check in with WheretoRome.